Dining Table: 72"W x 40"D x 30"H - 147lbs. Side Chair: 19"W x 23"D x 40"H - 26lbs. 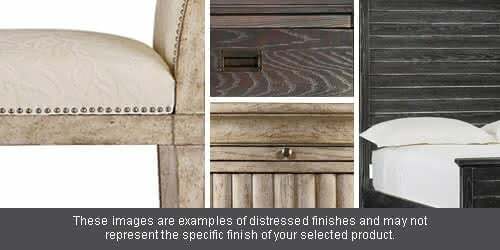 Upholstered Side Chair: 23"W x 19"D x 40"H - 37lbs. Bench: 50"W x 15"D x 18"H - 61.6lbs. Server: 58"W x 18"D x 36"H - 156lbs. The Bolanburg Dining Room Set is a real quality piece that will get years of use, we are very happy with our purchase. Thank you 1StopBedroom! I want to stand on my roof and sing your praises. I have never dealt with a more professional company that always delivers on their promises. Love my new Dining Room Set! You'll be hearing from me again soon. I bought this Dining Room Set from the Bolanburg and love how it looks! The shipping was reasonable and fast. 1StopBedroom is the best! 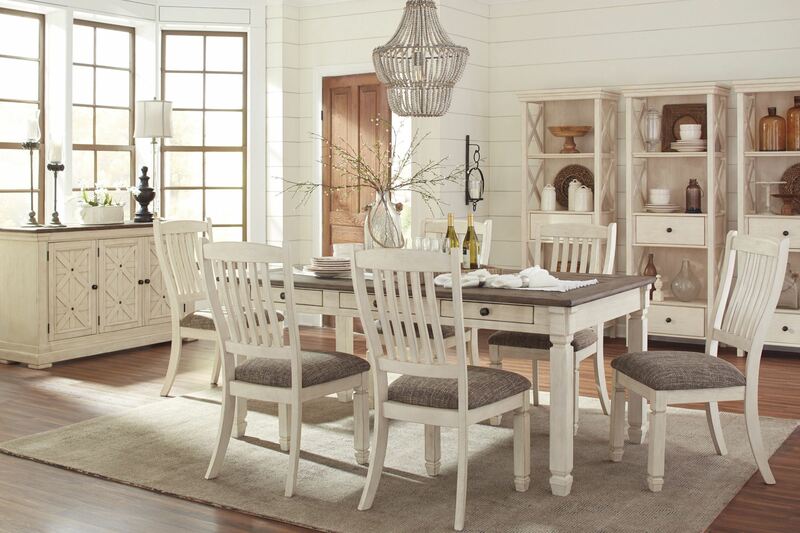 The Bolanburg Dining Room Set from the Ashley brand is completely functional and gorgeous! I like how it is both light but still strong. The craftsmanship is unbelievable for the price. Shipment was fast and they made sure the Dining Room Set was delivered safely. No scratches. Would highly reccomend! My Bolanburg Dining Room Set is the first thing you see when you walk into my newly furnished room. Then, the whole Bolanburg. If I ever want to see jaws drop, I just invite people over for a house tour. Great Dining Room Set! I love the color, I love the design, I love the price of all the pieces in the Bolanburg. Just awesome all-around. I am astonished at all the positive reviews on the Bolanburg Dining Room Set. I finally bought one of my own, and no kidding, this Dining Room Set is amazing for the price. And what enduring style! So glad I read the reviews. 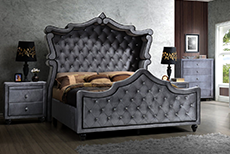 Look no further than the Bolanburg for fabulous furniture at wonderful prices. The Bolanburg Dining Room Set I bought is so well-styled that I couldn't resist going back to buy another piece from the Bolanburg. We were so impressed when we saw our sister's new house, we asked if she'd mind sharing her secret of savvy furniture shopping. The answer: well the Bolanburg, of course. On our limited budget, we really appreciated her candor. We started with the Bolanburg Dining Room Set, our first standout piece. Eventually we invested in the entire collection. We never would've been able to enjoy such a nice set had it not been for 1StopBedroom' value. Thanks, Sis!